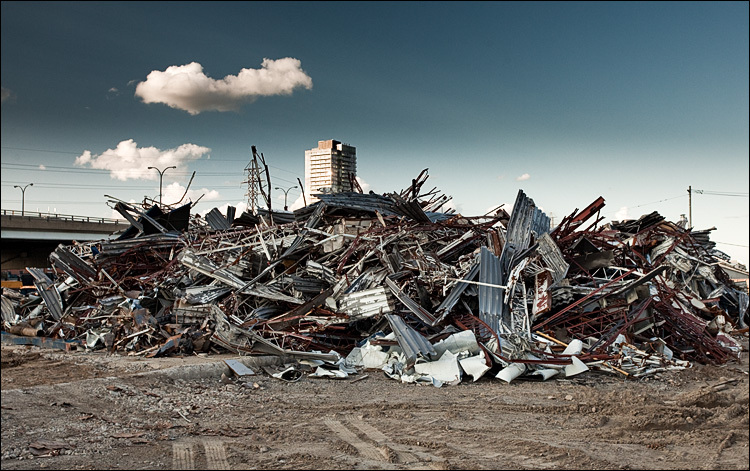 Scrapyard at Queens Quay East. CORRECTION: from my friend Marshall: "Actually, that's what's left of Chas Abel photo labs. I shot that last week.. and thought for a moment about the irony -- that it should become a subject itself after being put out of business by digital."